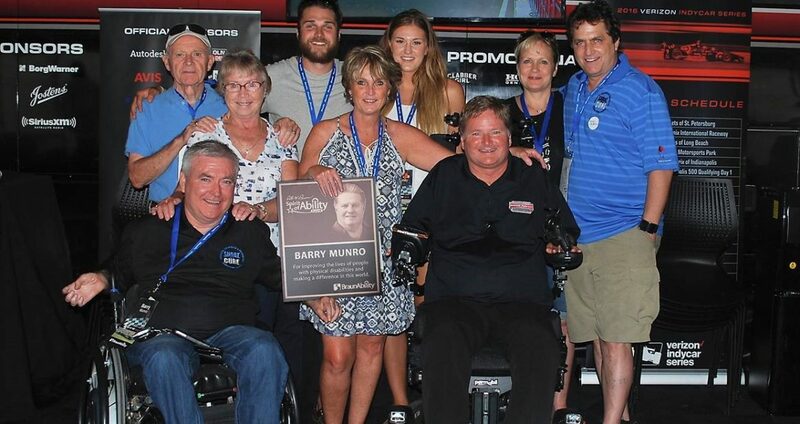 On Friday, July 22, 2016, Barry Munro, Chief Development Officer of the Canadian Spinal Research Organization (CSRO), and the Ontario Neurotrauma Foundation (ONF), was presented with the Ralph W. Braun Spirit of Ability Award at the Honda Indy by Sam Schmidt, Board member of Braun Ability, and owner of Schmidt Peterson Motorsports. The Spirit of Ability Award is annually given to those who dedicate time, compassion and display a servant’s spirit to change the lives of those with physical disabilities. Visit here to read more!